Are you ready for a challenging and rewarding place to work? Stop in to any one of our stores to fill out an application. Please direct inquiries on position availabilities to Hirshfield’s Human Resourse Department. Send email here. Hirshfield’s hires only U.S. citizens and lawfully authorized alien workers. Hirshfield’s use E-Verify as part of the I-9 process to verify the work eligibility of all new hires. E-Verify is an Internet-based system that compares information from an employee’s Form I-9 to data from U.S Department of Homeland Security and Social Security Administration records. 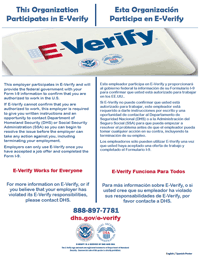 Click above to view or download the E-Verify Participation poster. 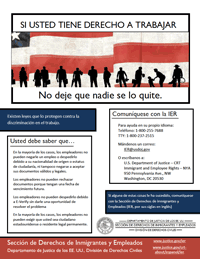 Click above to view or download the Right to Work (spanish) poster. 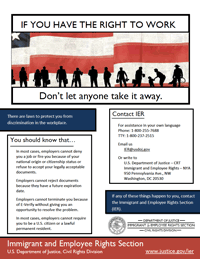 Click above to view or download the Right to Work (english) poster.